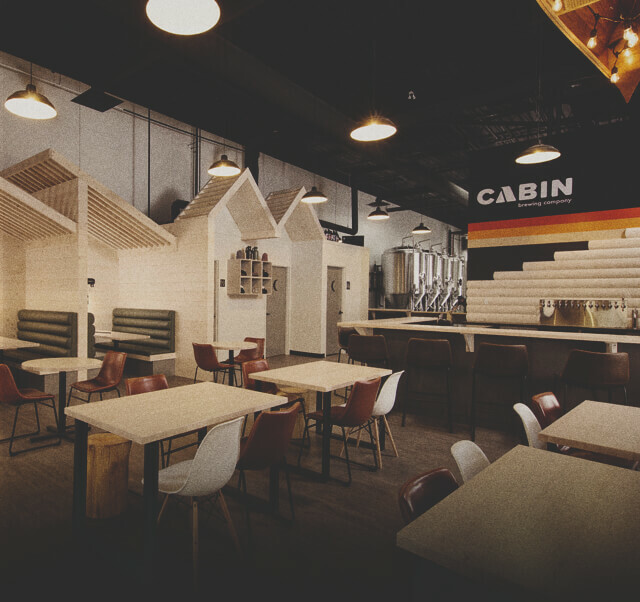 Full of warm wood, nostalgic board games and books, and tons of natural light, Cabin Brewing Company is the perfect home away from home. It’s a spot to kick back, sip on something familiar, and forget about the worries of the work week. The humble cabin represents the ultimate escape - a home away from home. 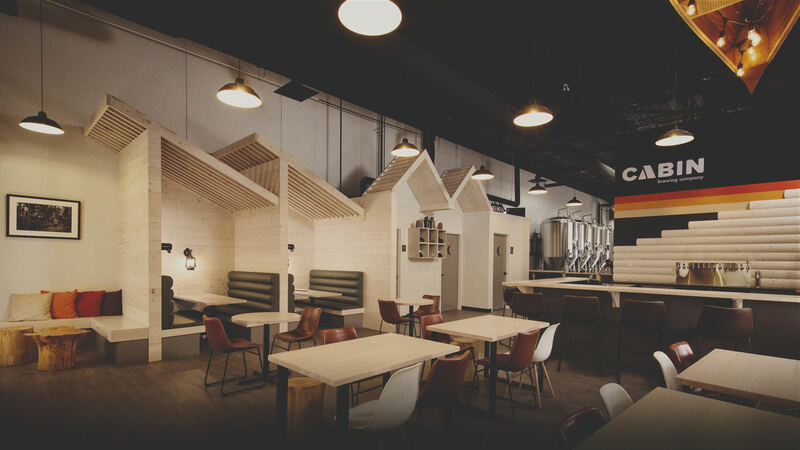 Cabin Brewing Company embodies that feeling. It is a place to be yourself and to make new memories. The three owners all have a wealth of experience in making, judging, tasting, and critiquing beer; they use this expertise to make fresh, flavourful, complex and hop-centric beer. The beer is packaged in striking cans that have a modern, yet nostalgic feel. The cans are lovingly crafted for Cabin by Calgary agency Daughter Creative. Cabin serves hot New Zealand-style meat pies – a comforting and delicious culinary treat that pairs perfectly with craft beer.